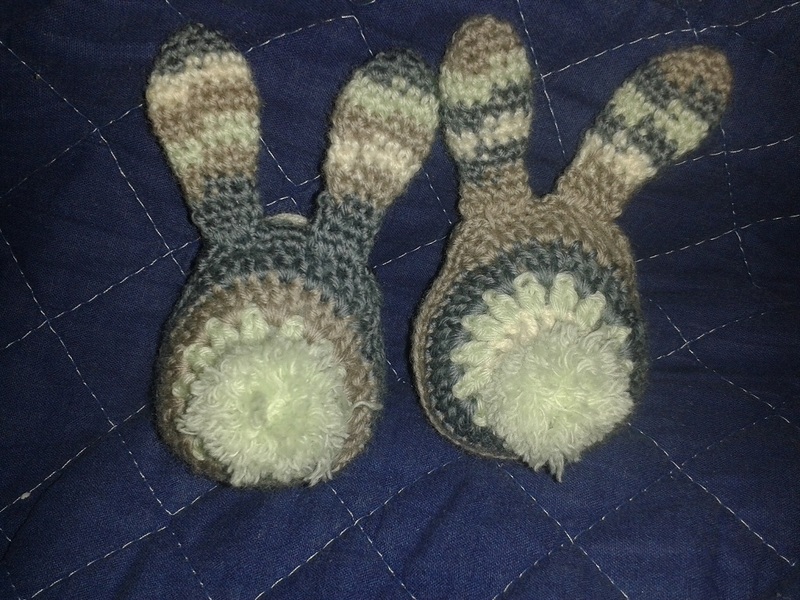 Last night I finished these two bunnies – pattern from The Green Dragonfly. They are one of the cutest things I’ve ever made, in my opinion. And the tutorial is so great. I usually mess up on the faces, but these were super easy. I also had a pom-pom phobia from several past failures. But the fork method worked really well. So I’m more than pleased with the end result and will be looking forward to an opportunity to make more. They are also very quick. I did both in two evenings (like couple of hours every night), so 2-3 hours should be enough to make one – a great quick gift. The author of the pattern has just released Easter Chicks pattern based on the same principle. And it all started with this owl pattern :). Separator image Posted in Books, mags & patterns, My kniting & crochet and tagged with crochet, crochet bunnies, crochet rabbits, cute, cute bunnies, easter bunnies, easter rabbits, Green Dragonfly, Happy Easter, kawaii, kawaii bunnies. More problems is that if you are in a circumstance that you do not possess a co-signer then you may want to try to wear out your educational funding possibilities. You could find many awards as well as other grants that can present you with finances to aid along with school bills. Thanks for the article.